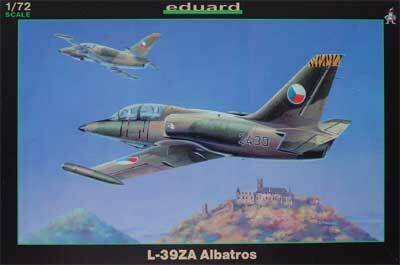 This modelling report covers 1/72 scale kits: the old KP kits and the better EDUARD kits. 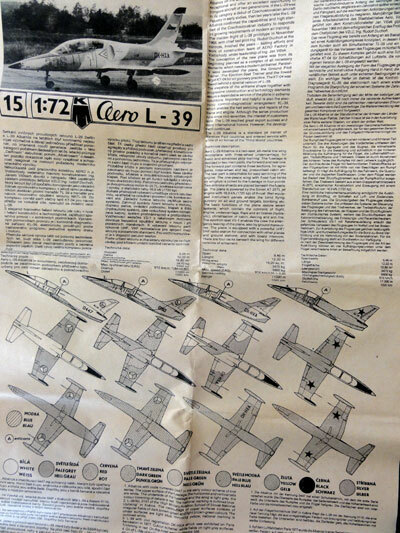 In 1/72 scale for many years there was the KP (Kovozávody Prostejov) L-39 kit. After it was released in 1982, it appeared in various boxes and bags over the years. Though the KP kits are simple, shapes are not bad at all. The number of parts is about 40 is cream white plastic which is a bit brittle and some parts need quite some sanding to remove all flash. The moulds are rather old and that shows. A couple of fuel tanks and 4 wing pylons are provided but not the seperate canon fairing below the forward fuselage. Panellines are there but mostly raised, I retained these as much as possible: a camouflage paint later on will make them look good enough. The KP kit single piece canopy is often scratched so needs polishing. Also, its fit is not that good. 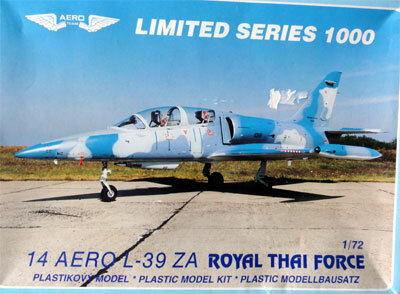 To get a better result, I bought a couple of PAVLA #7225 clear vac canopy sets for the L-39, they are not expensive at all. The good news is that the KP kit intakes are quite deep but the exhaust pipe a bit undeep. Also the wing has 2 upper and lower halves and correct dihedral. 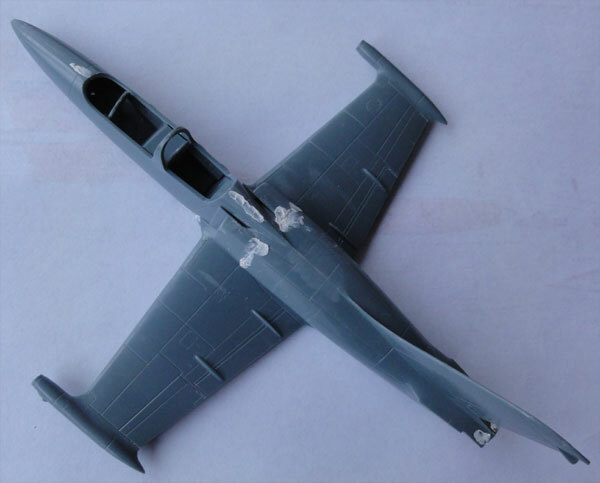 The undercarriage is a simple affair as well, but the L-39 also has a simple undercarriage with mostly the doors closed when parked. 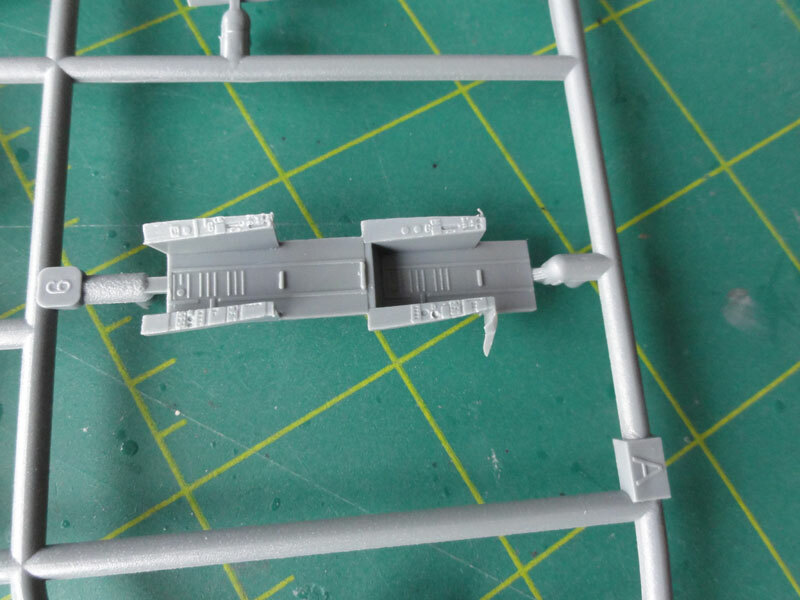 (these doors are moulded "closed" in the kit). The KP kit cockpit is very basic, the seats are "L- shaped" forms and really inaccurate and unusable. 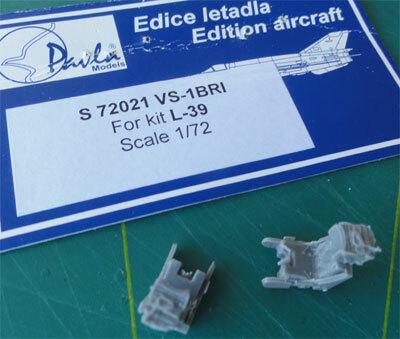 So a couple of PAVLA sets S72021 with resin seats for the L-39 were bought as well. 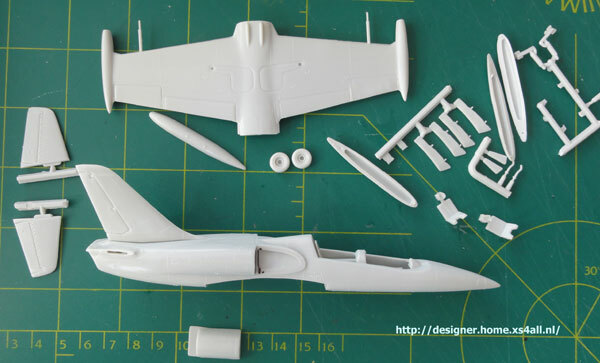 During the L-39 modelling project, a whole bunch of seats and accessoires were tackled in one go. 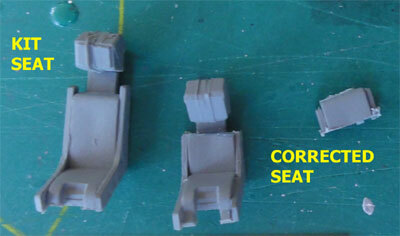 Seats got medium grey paints with variation in head rest and parachute pack colours. Ejection handles were made from thin metal wire and painted red. Seat straps made from tape cut in slices. Kit assembly started with fitting the cockpit tub and panels. 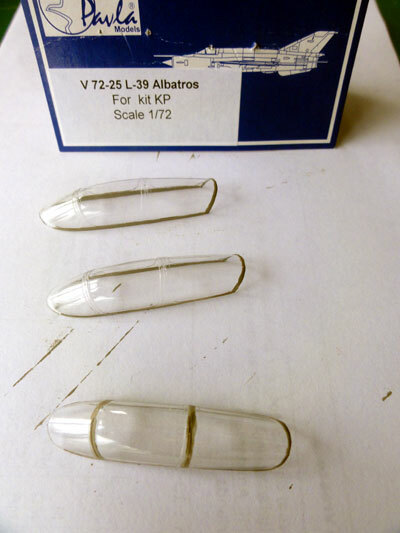 It shows gaps when fitted, these will be filled with white glue later on. The transparant screen between forward and rear seat is missing in the kit, this was made from thin clear sheet to be fitted later. 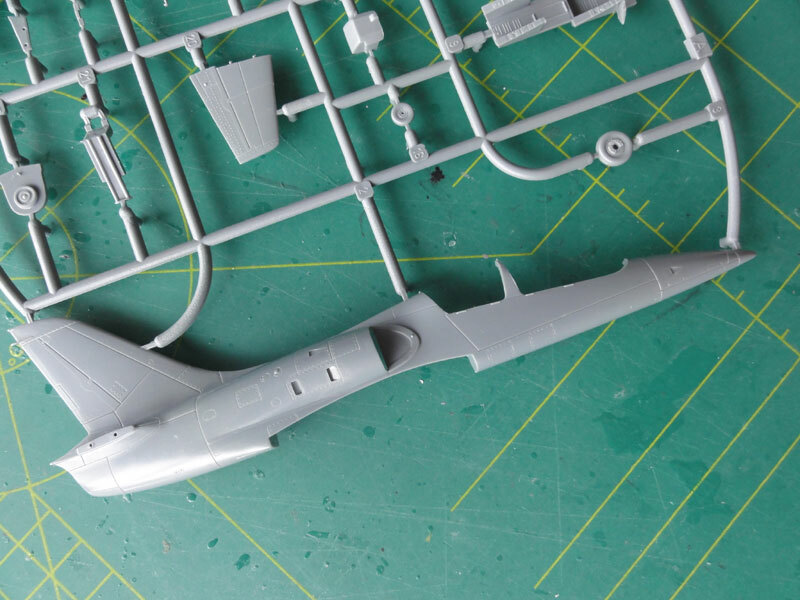 The KP kit required considerable filling and sanding, particularly below the intakes between fuselage and wing. This is difficult to reach, so sanding sticks were used. 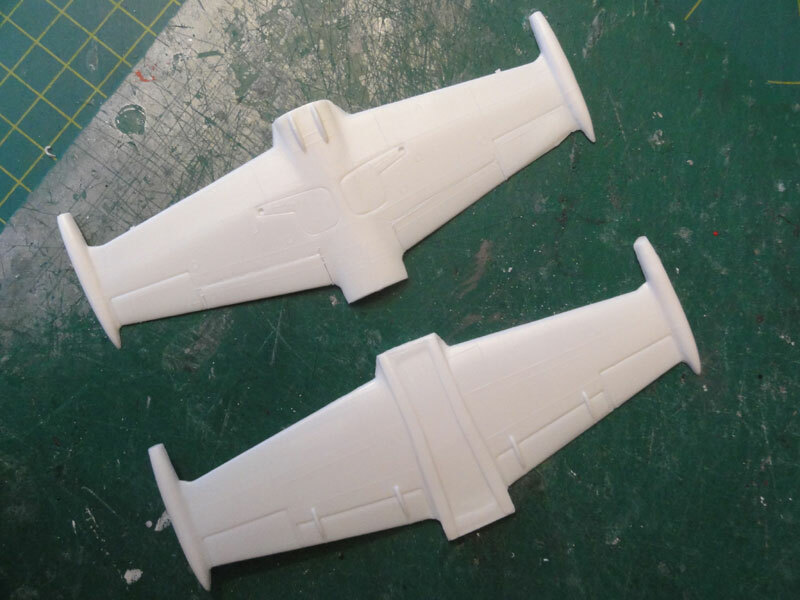 The wing itself and tip tanks also require filler and sanding. 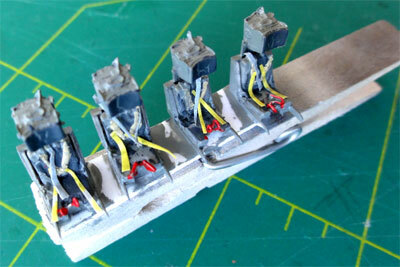 The wing tip tank lights do not fit well and also need sanding and filling with white glue that dries up clearly. Various KP models would be made. On each model, after the basic assembly and filling and sanding the model got a grey base coat with the airbrush to check for any flaws. I usually use Revell Steingrau #75 acrylic for that. After that the model got its appropriate checks and further corrections, and than finished in it's desired scheme. This will be discussed for each model made. 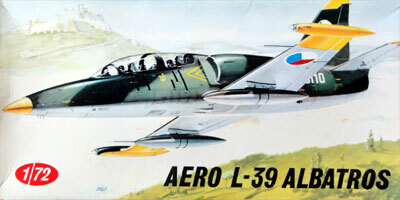 Eduard also released a 1/72 scale kit of the L-39. It is far better than the old KP offering. 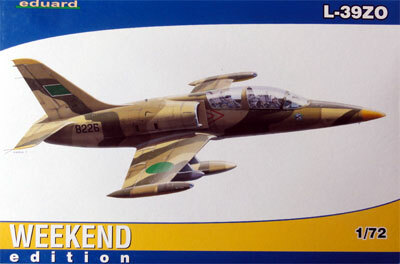 The Eduard kit also has appeared in various boxes with "weekend edition" kits for quick builds but also kit with some extra detail parts of etched metal and canopy masks and "Double Combo" kits with parts for 2 models. 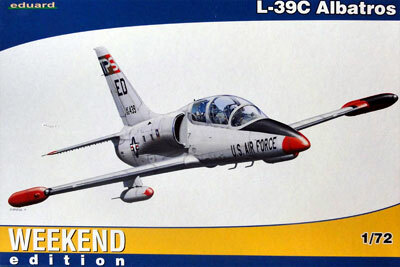 Some slightly different versions are for the L-39C, L-39ZA and L-39ZO. 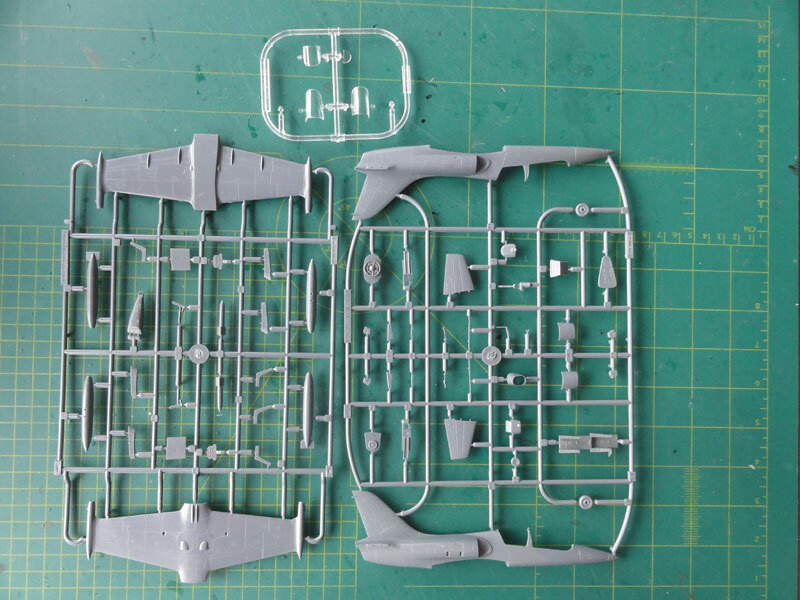 some small parts of these kits look to vary like the instrument panels and gun sights. 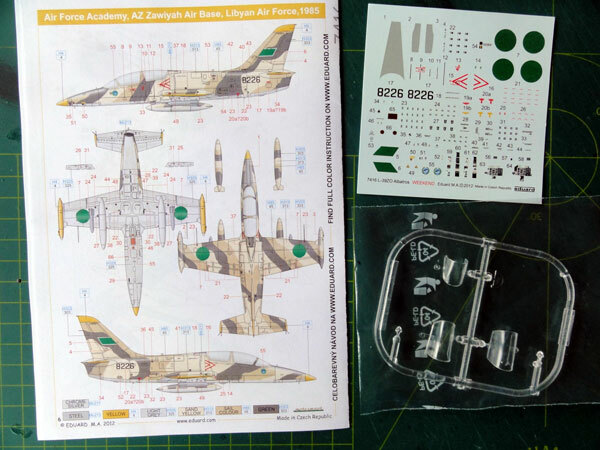 Some kit releases have painted etched metal for the instrument panels and side consoles. The number of parts is about 60 with fine recessed panellines. 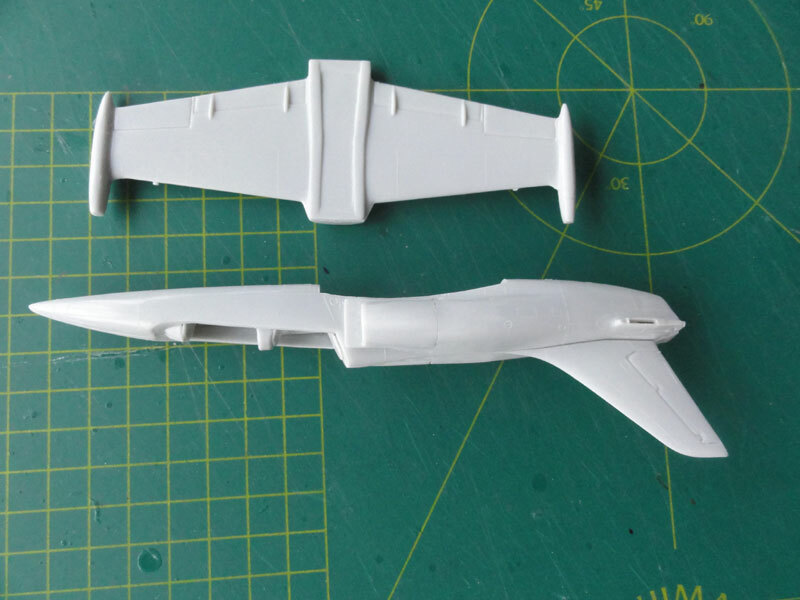 The two canopies can be set open and for the anti-collision lights on the wing tanks, clear parts are nicely provided. 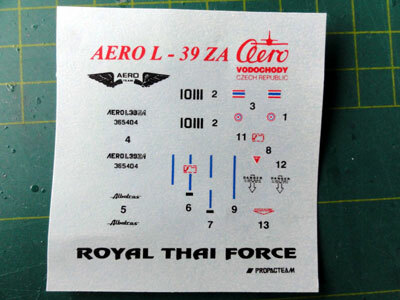 Stores comprise 4 wing pylons, fuel tanks and what I thick are ground firing training rockets. 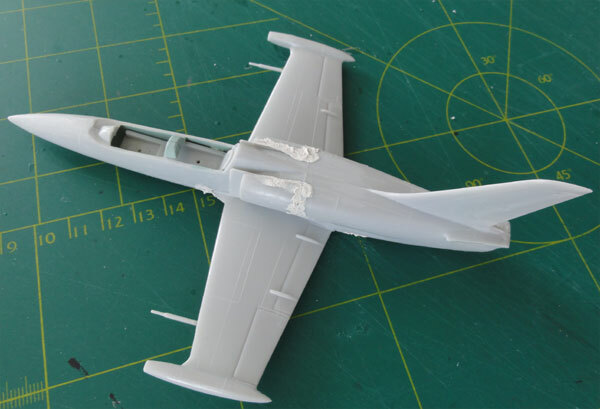 The gun pack is a seperate item for fitting under the forward fuselage. 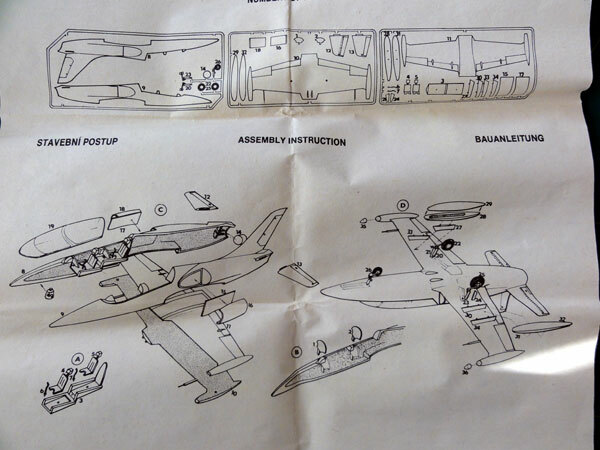 The assembly is clearly shown in the instructions. Construction starts with the cockpit. But the seat sizes are considerable different as compared to the PAVLA resin seat I also purchased. The rear seat in particular is quite high and when the caniopy is set closed interferes with the canopy. 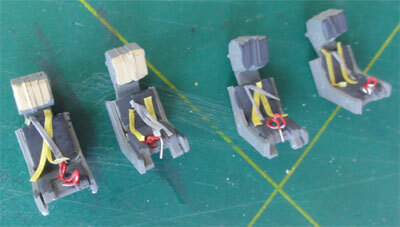 So I reduced both Eduard kit seat heights considerably by about 2 mm. An easy task. On the Eduard kits I would pose the canopies open, so I replaced the kit seats with more details PAVLA resin seats (see above). 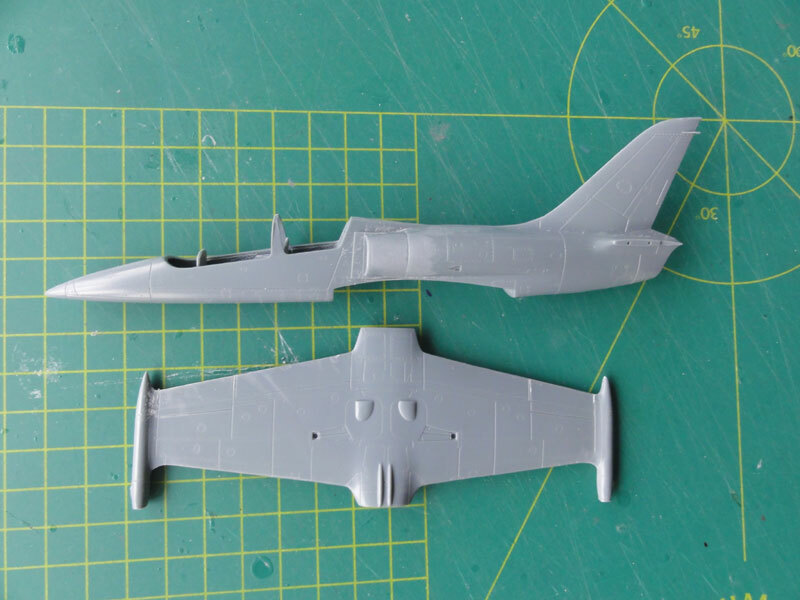 The remainder of the kit assembly is good, check which holes to open up in the lower wing depending on your pylon and weapons choice. 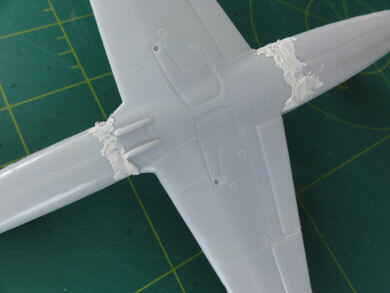 Some tiny amounts of filler were needed at the intakes and lower wing-fuselage joints. My kit had some sinks marks at the rear upper fuselage, these were filled as well. 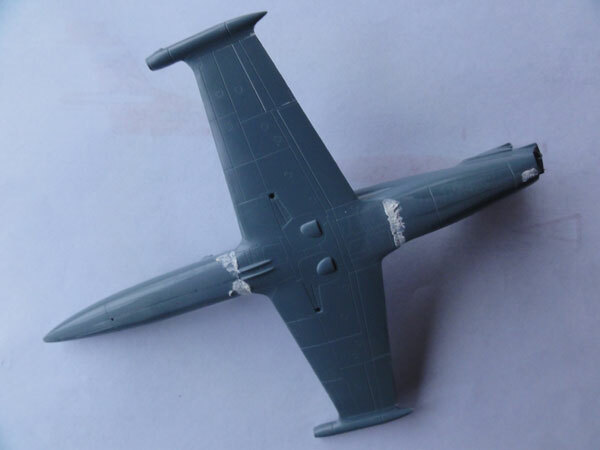 After each basic assembly, a basic grey coat was applied with the airbrush. 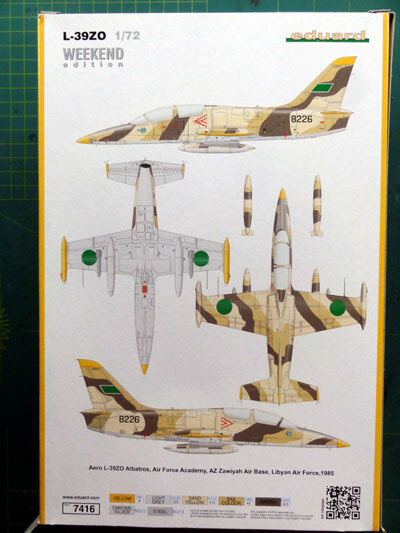 This showed the models were ready for getting their different colour schemes. These will be discussed for each model separately.